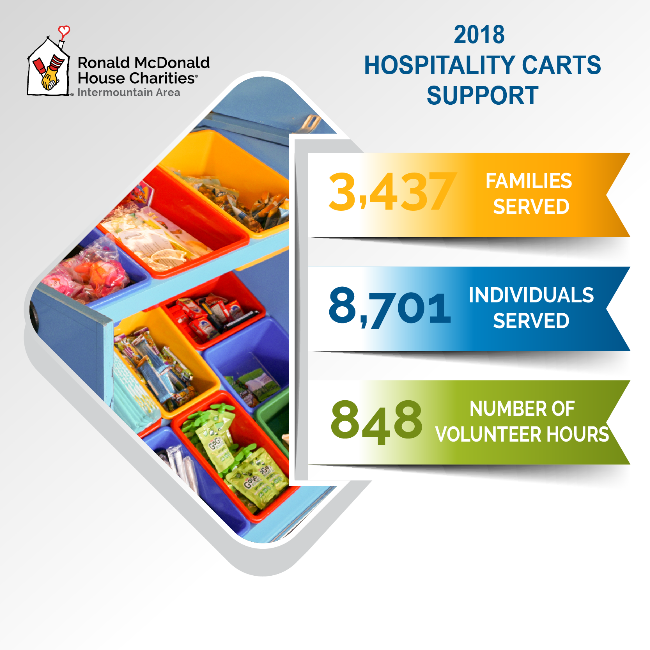 In 2017, Ronald McDonald House Charities® of the Intermountain Area launched two Hospitality Cart programs; one at Shriners Hospitals for Children in Salt Lake City and one at Ogden Regional Medical Center. 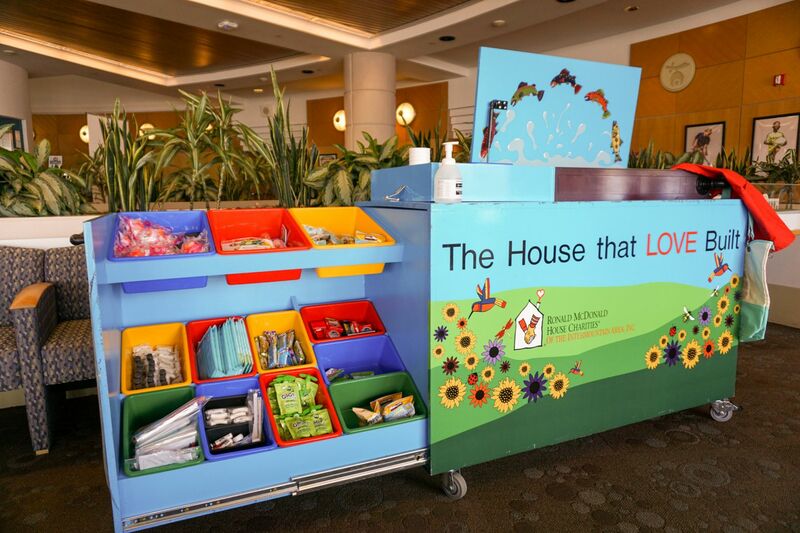 The purpose of the Ronald McDonald Hospitality Carts is to provide some comfort and necessities to families who are being treated at these partner hospitals. Whether it’s a day of appointments or an inpatient stay, we hope that the Hospitality Cart makes the long hours a little easier. 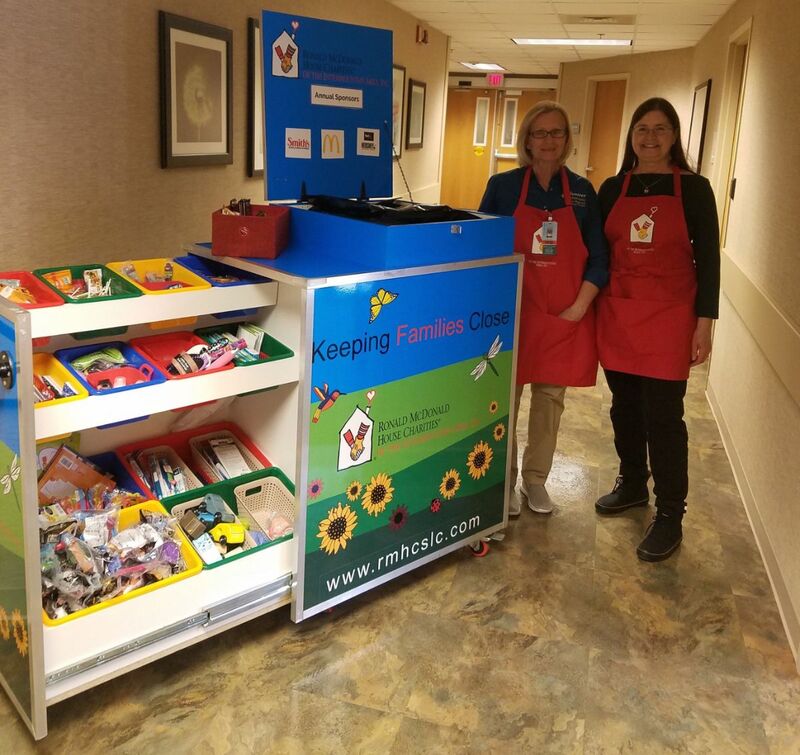 The Hospitality Cart is stocked with hygiene and comfort items, a selection of healthy snacks, family-centered activities, games and craft kits. Shriners Hospitals for Children is one of our Salt Lake City partners. They provide specialized care to children with orthopaedic conditions, burns, spinal cord injuries, and cleft lip and palate, regardless of a family’s ability to pay. Our program at Shriners Hospital was our first Hospitality Cart and launched on June 1, 2017. Whether families are at the hospital for clinic appointments, inpatient stays or surgery, this program serves the entire hospital. 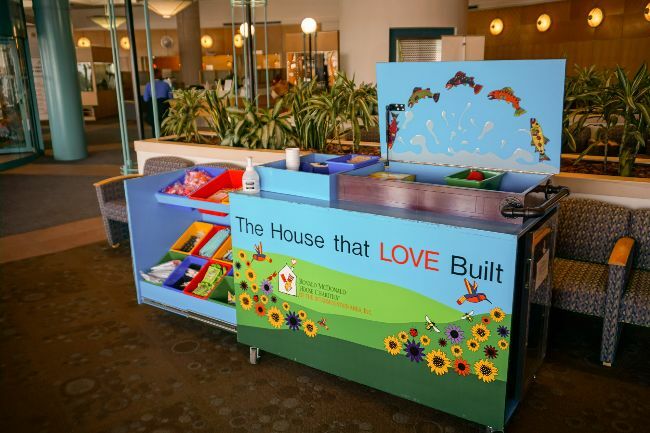 To ensure families can easily find the resources of the Hospitality Cart, this program can be found centrally located on Tuesday and Thursday mornings in the main lobby. Ogden Regional Medical Center is our partner in Northern Utah. They are proud to provide acute pediatric services to northern Utah and the Greater Salt Lake City community. The Hospitality Cart program at Ogden Regional Medical Center was launched on June 28, 2017. We are very excited to have a program that serves Northern Utah families right in their community. In this hospital, our team of staff and volunteers bring the Cart right to the patient room. This program runs Monday, Wednesday and Friday and serves patients and families on the Newborn ICU, Pediatric Unit, and Labor and Delivery. When did you start working with Ronald McDonald House? March of 2017 after having worked for United Way for 17 years. 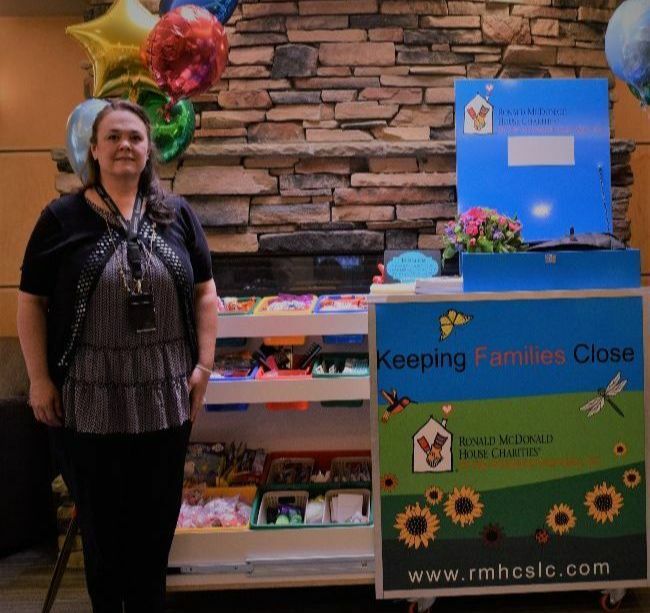 Describe what you do: Bring comfort to the children and families that are staying at Ogden Regional Medical Center and filling in when needed at the Family Room at Primary Children’s Hospital. What is one of your favorite moments on your job? I have favorites every day, but they all stem around making a child’s day better by distracting them from treatments or pain and bringing them something that brightens their day. I also love the look on a Mom’s face when we are successful in making a stressful situation better for her and her child. As a mother and a grandma, I know how impactful it can be to bring a smile to a scared or sick little one. What is your favorite snack offered on the Hospitality Cart? The Hershey’s chocolate…makes my job so sweet! Thank you for all of your hard work on behalf of our families, Leslie! You are an important and cherished member of our team! A Shout-Out to our Annual Hospitality Cart Sponsors! 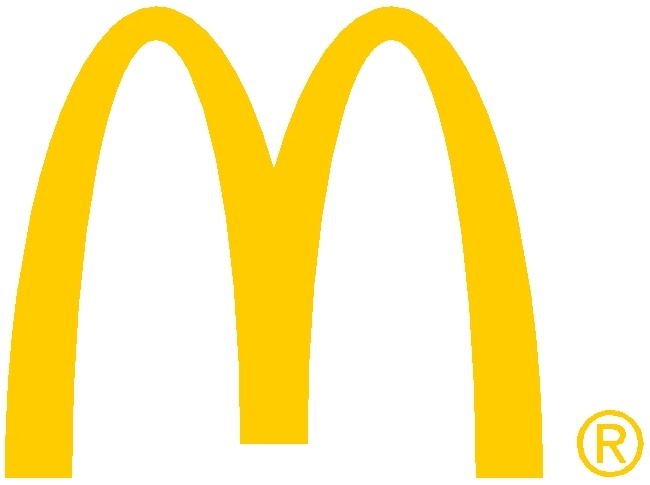 In addition to the support our local McDonald’s provides for the Ronald McDonald House and Family Rooms, our McDonald’s Owners and Operators voted to do even more for the families in our region. They donate the apple slices, go-gurts, milk and water that are on the carts. There are so many reasons we love our McDonald’s partners – and this is one of them! Thank you! Each year, Smith’s Food and Drug Store has provided support in the form of Gift Cards, allowing us to purchase needed items. This can include everything from the snacks, to comfort and hygiene items, to games and craft kits. Smith’s continues to be a wonderful partner to us. Thank you! Hershey makes sure that there is a sweet option on the cart for our families with their annual donations of chocolate candy. Sometimes, in a tough situation, a yummy piece of chocolate can go a long way. And, you heard from our Hospitality Cart Coordinator, Leslie – it is her favorite snack on the cart! Thank you for your support Hershey! When we first opened the Hospitality Carts in 2017, The Grand America Hotel provided a large donation in the form of travel hygiene items like shampoo, conditioner, and soap. The donation was so significant that we are still using these items on the carts to this day. 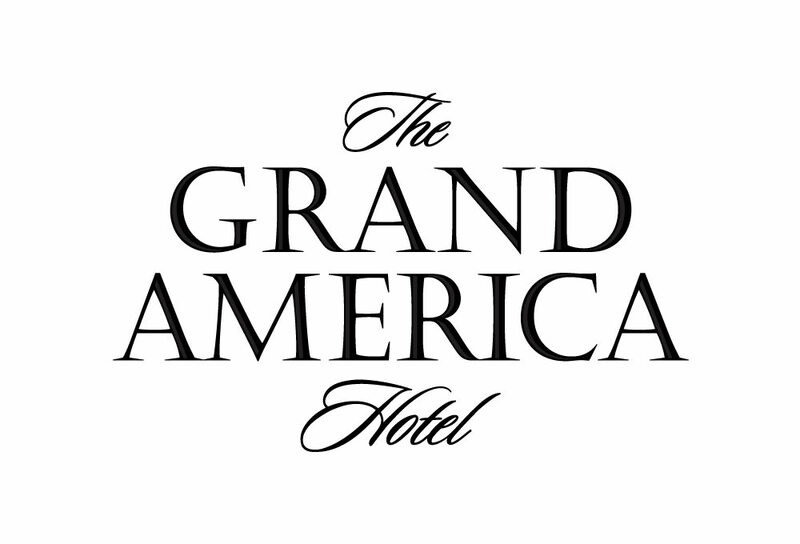 Thank you Grand America for your generous support! Each donation provided by our partners represents something that is valuable to our families. We truly could not do what we do without the support of our sponsors and the involvement of individuals in the community. Get Involved and Lend Your Support Today! We’d love to have you join us and get involved. There are lots of ways to help! Donate a specific item (or type of items) as a one-time gift. Right now we really could use kid’s toys and individually wrapped snacks like granola bars, trail mix, and goldfish crackers. We also have a wishlist for the Hospitality Cart on our website, that you can access here. Groups, families, companies, etc… can sign up to be a Hospitality Cart Monthly Sponsor. These participants can provide a financial gift, replenish a category of supplies, or re-stock the entire cart! Monthly donors will be recognized on our social media platforms, and with signage on the cart itself. 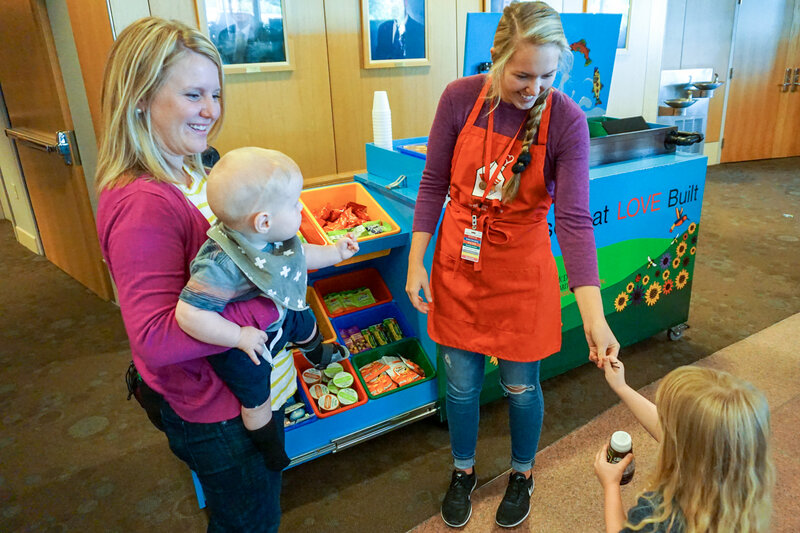 If you are interested in supporting the Hospitality Cart program you can contact our Volunteer and Outreach Director, Kacie Pecor at 801-363-4663 or at kacie@rmhslc.org.